Hello everyone! Today I'm here with a very special video for you. So, onto the details. The hop is going to be running through from 8AM PST Time Friday, 15th July to Midnight PST Time Sunday, July 17th. There is going to be 5 fabulous sponsors, which means 5 different prizes to give away, which is amazing! To be eligible to win, you need to leave comments on our videos and the comments will be selected from there. These are the wonderful companies offering the prizes that are being given away to you. You have until Midnight PST Time Sunday, July 17th as mentioned before to leave comments on our videos and the winners will be announced over at Tara's blog on Monday, 18th July. There are 8 amazing designers hopping along and helping Tara celebrate in this video hop and I know you're going to enjoy seeing all of their videos. I hope you enjoy all the videos in this hop. 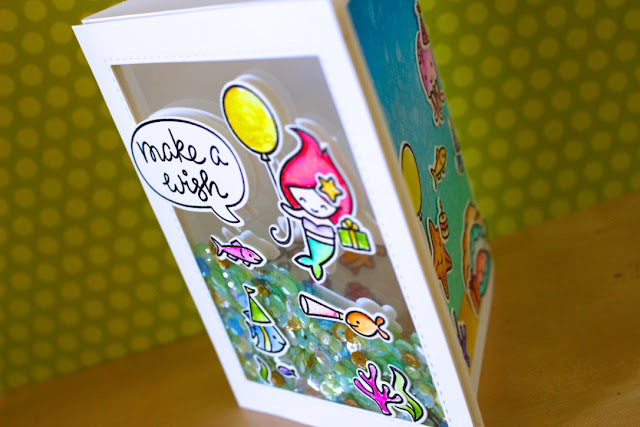 For today's hop I've made a fun tri-fold shaker underwater scene birthday card, which I had a blast making. I used a ton of Lawn Fawn stamps and dies along with Pretty Pink Posh sequins to create my card today. All supplies will be linked below and listed at the video for your convenience. All details are explained in the video which will be linked below. Next video on the hop is Emily's video - click on the link to see what card she has made for today! Thanks for stopping by the video hop today. Make sure you leave comments on the videos to be eligible to win the prizes - comments on the blog posts do not count. Adorable shaker card!! 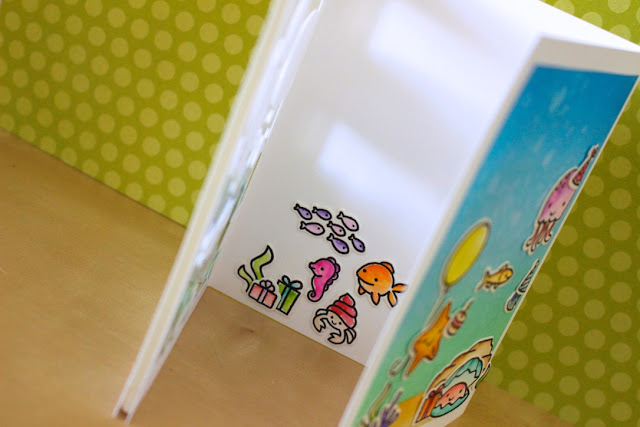 Love the trifold....and all those cute little fishes!! !